School is just around the corner for some and already here for others. No matter where school lies in your schedule, prepping for this time of year can stress out any parent, kid and family in general. It is a hectic time of changing schedules, new routines, and of course making sure that you have all of the necessary supplies to meet the new academic year with total success. KD Novelties is here with a Back to School Giveaway that is sure to get any kid excited and put any parent at ease. 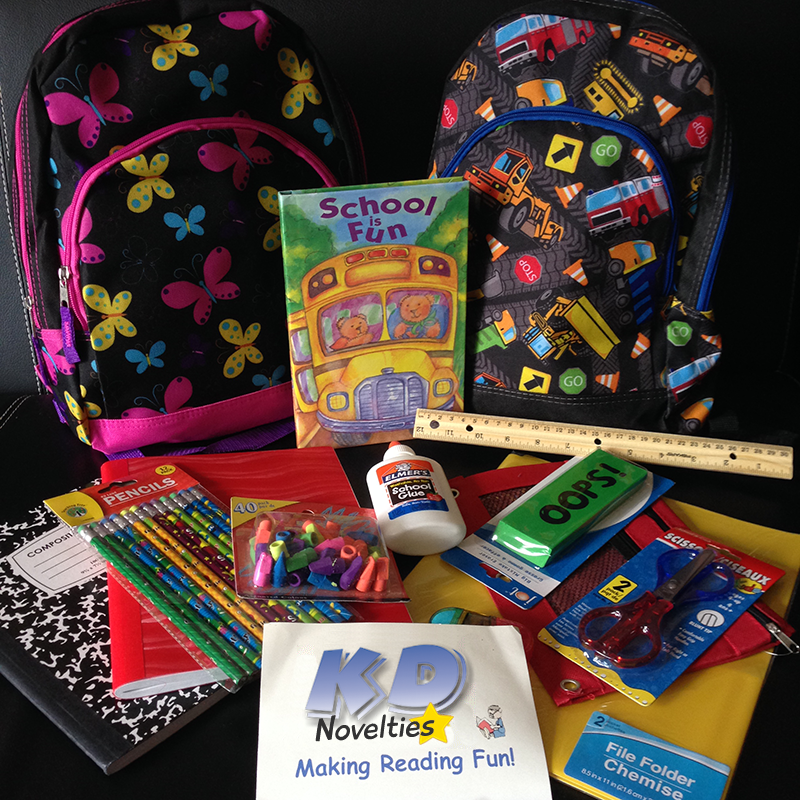 KD Novelties back to school giveaway is a great way to kick off a new year. The special offer includes your choice of a brand new backpack, some school supplies (including pencils, notebooks, ruler and other traditional back to school staples) and a fun back to school personalized book. This year, the personalized book included is School is Fun. It is common for kids to feel apprehensive about starting a new school year, whether they are first timers or not. A new year means new teachers, new friends and new things to learn. “School is Fun personalized book” can help get any kid in the right mindset to be excited for school. A personalized book where they are the main character and the star can help ease them into this transition, making school seem less scary and more fun! Even if you’ve already begun the back to school haul, an extra backpack and supplies can definitely come in handy and help you and your child feel even more prepared for the year ahead. Take part in our special giveawaytoday!